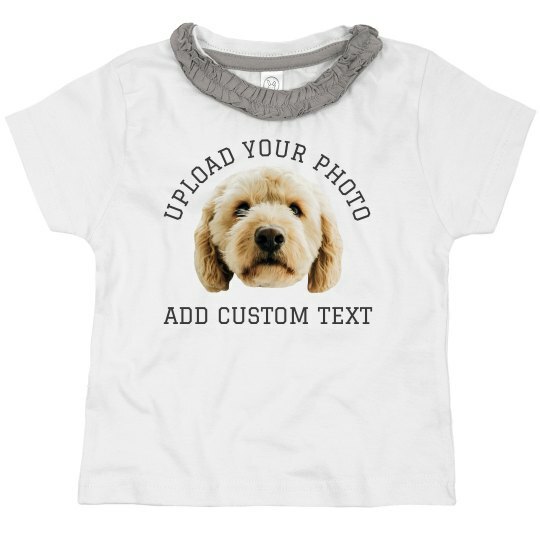 Add your own photo to this super cute ruffle tee! It is the perfect gift for any little girl in your life. Be sure to really make a statement by adding your own text to go with the image.